-This quality property is situated in wonderful location just outside Old City walls, opposite Mount Zion and on the brink of Sultan's Pool in the first Jewish neighborhood built around 1870. This'rural'artist village of Yemin Moshe is a place full of authentic charm, surrounded by world famous cultural and historical attractions. -No buildings are hindering the extraordinary view of evening lighted City Walls from the apartment's living room. -The area of Yemin Moshe is one of the most beautiful and charming in Jerusalem. -The property is beautifully renovated. The calming atmosphere, simplicity and attention to detail will certainly be pleasing to any discerning client, as will the exposed natural stone walls of the building as is typical for Jerusalem. -This property includes a private entrance and small, sunny outside paved area looking towards the unforgettable view of Old City Walls and Mount Zion. The apartment is able to sleep 4, but 3 is more ideal. There is a sofa bed for sleeping in living room. -The apartment is fully equipped, having WiFi, HDV TV, cord phone for incoming calls, AirCon, heating etc and even containing a well tuned upright piano! -The master bedroom is tastefully furnished for relaxing atmosphere with white bedcovers. -The bathroom is large , containing a high quality washer and condenser dryer, as well as the shower, toilet and sink surface with large mirror and lovely recessed lighting. There is a cupboard with drawers underneath and a hair dryer for use. -The fully equipped kitchen is modern, spacious and functional with side view to the Mount Zion. There is an electric stove, extractor fan, oven, microwave, espresso machine, dishwasher and fridge. It is like being 'at home' away having all what you need comfortably around you. -Ideally suited for a couple, the open design of the apartment means that the living room and bedroom are separated by a long and spacious hallway. There is a cream blind which can be pulled down for more privacy between the bedroom and the hall as well as in every window and glass door. The calming and sunny living room contains a dining area, a piano and a cozily appointed sitting area. -Outside paved area is ideal for enjoying a glass of wine and the fantastic view of lighted City Walls in the evenings or an early breakfast when sun is rising over the city walls. -This extraordinary property of one bedroom of 72 sqm is modern, sunny, specious, with 'old charm' and restful atmosphere with incredible view and warm welcome. We moved out architectural office away from the property and since it it is on prime tourist attraction area and stayed empty some years we thought to have it renovated and rent it as enjoyment for Israeli visiting tourists. The spacious and most perfectly located apartment is a true gem, worth of five the stars and more. It is a literally 10 minute walk to either Jaffa or Zion gate of the old town Jerusalem. It’s enjoys a small private gardens with the seating area where you can enjoy your Java and look at the walls illuminated at night or basking in the sun during a day. The apartment is exquisitely equipped with top-of-the-line modern appliances including a stove, flat cooktop, dishwasher, washer on the dryer, microwave, and an espresso machine. All this is very nice and would’ve made for a perfect stay already, but what truly made our stay wonderfully unique and special is the host, Ms. Salme. In our 30 years of travels, we have never met someone as nice, thoughtful and graciously understanding of our needs and preferences as Miss Salme. She went above and beyond what could be expected, provided us with consumables that you normally would supply yourself, and days after we checked in, we kept finding little things she thoughtfully anticipated we might need. Miss Selma has also been a tremendous resource for local knowledge giving us fantastic recommendations for local dining wine, shopping, whatever we need it she would support us but always in the the most tactful way. Katie and Art were top of guests cheerful full of wanting knowledge of the City. They vere very orderly and left the apartment very clean. Always gentle and thoughtful Katie and Art even brought a small present with them which was surprising for me. It happend never beforehand with any guest though sometimes the day of check out. Will be very happy to host them any time in future. Yemen Moshe at its best. Beautiful and quiet… A true refuge. It’s a beautiful location. There are lots of steps and a steep hill to get up to the main street. If you are looking for a quiet retreat at the end of the day this is really perfect. 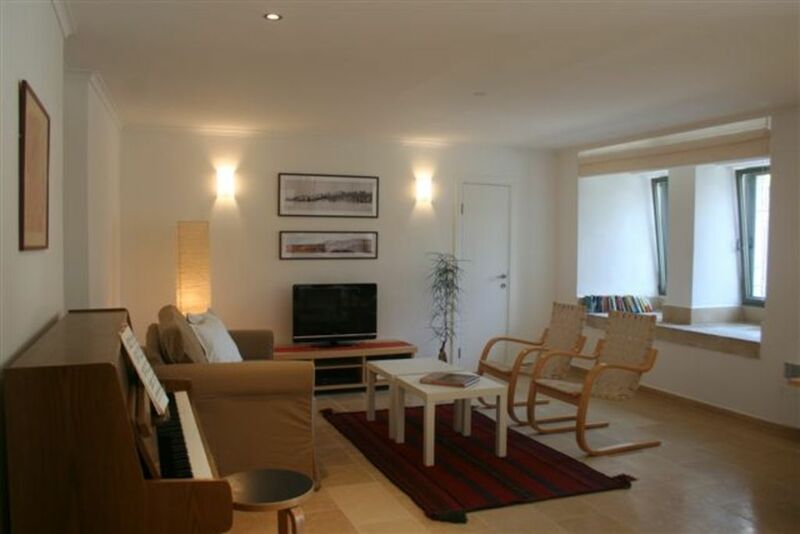 This apartment is in Yemin Moshe, the first and oldest neighborhood outside of the Jerusalem Old City Walls ... yet it's a thoroughly modern and comfortable space with all the amenities that a traveler needs. The views of the Old City walls are incredible and, although there are lots of ups and downs, the walks to either the Old City or New City are easily accessible. Salme was a thoughtful host and provided everything we needed, even a couple of extra chairs for an extended family meal. We'd highly recommend this apartment and would stay again. We spent two weeks in the Sultan’s Refuge. The apartment is bright, clean, spacious, very well appointed and with all the conveniences. It exceeded our expectations. Nicer than the internet pictures show. Yemin Moshe’s ambiance is charming. The apartment’s location could not be better. The Jaffa Gate, artisans gallery, Mt. Zion, King David Hotel, and Mamilla Pedestrian Mall are all within an easy ten to fifteen minute walk. The neighborhood restaurant, ToUro, has excellent food and service. Step out the front door of the apartment, turn right, walk about thirty yards and you are there. Salme gave us a warm welcome with wine and a lovely fruit basket. Thank you for pointing out the quality of the photos. Will take this to the consideration and do the new set of them in future. I do like to give a positive surprise to my guests when opening the door on arrival. It is great to see the happy faces when guests find the apartment well equipped and homely. First Home Away experience was extremely positive ... Sultan's Refuge location is great ... walking distance from many important sites. The property is nicer than the pictures and a great value. Salme, the property owner is a delight. -This quality property is situated in wonderful location in the first Jewish neighborhood just outside the Jerusalem Old City walls, opposite Mount Zion and on the brink of Sultan's Pool in the rural artist village of Yemin Moshe, place full of authentic charm, surrounded by world famous cultural and historical attractions. - there are segwey tours around the Yemin Moshe and Old city area and in summer there are music festivals, and Artist's fair in Sultan's pool.